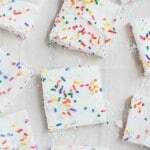 Homemade Sprinkle Marshmallows are much easier than you expect and are a great way to add a little fun to your s’mores! 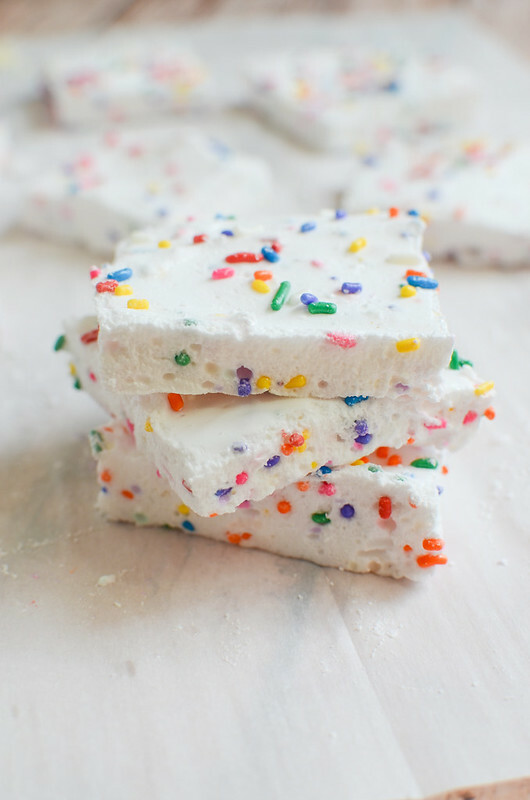 These beautiful marshmallows require only 6 ingredients and I bet you already have all of them! 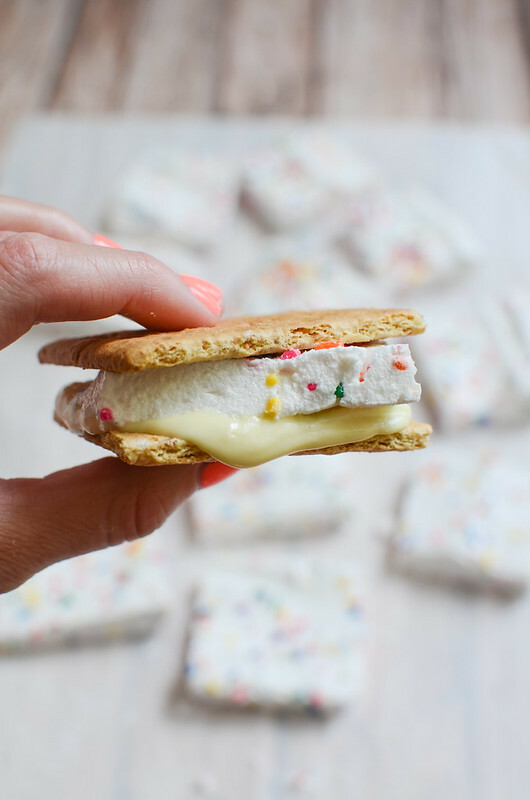 Okay, so this isn’t technically s’mores but how fun are s’mores made with sprinkle marshmallows?! But first, we haven’t talked Olympics. I really only care about the opening ceremony and gymnastics. I was such a mess during the opening ceremony. I happy cried through most of it and I can’t even explain it. Every time they introduced a new country, I squealed, “Aww!” and started crying. My kids left the room after the first 2 countries. No idea why. 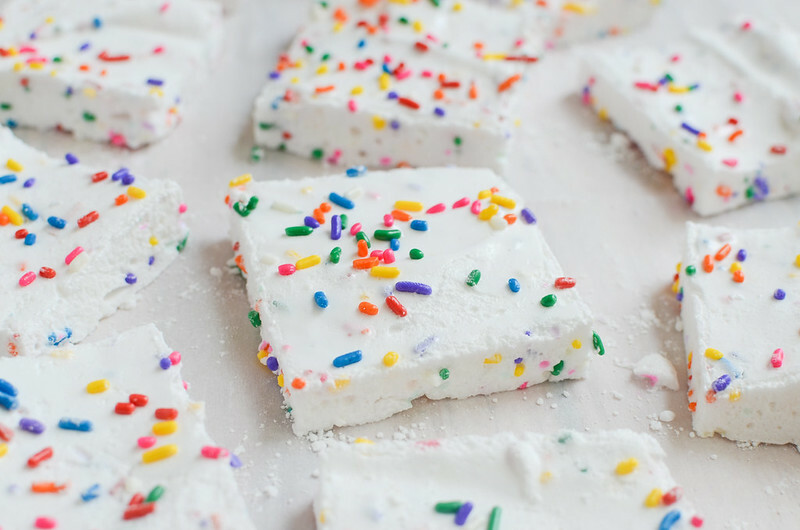 Homemade marshmallows are one of my favorite things to make. It’s just so satisfying to turn sugar, water, gelatin, and an egg white into marshmallows. 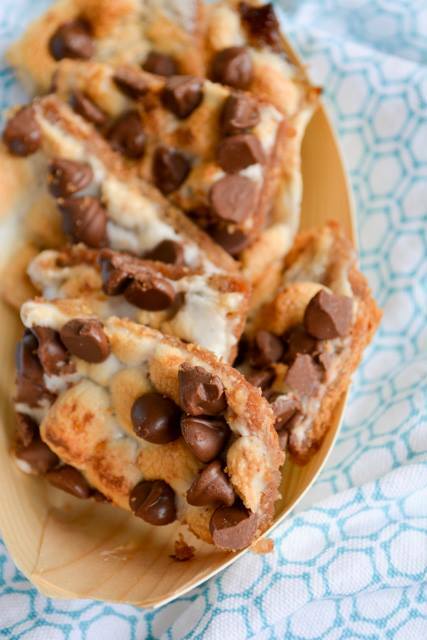 Seriously though, what genius decided to mix all that together and create the delicious glue that holds all s’mores together? I would like to suggest a holiday in that person’s honor. Have you made marshmallows before? They’re really not that difficult but they do require a lot of patience. First, you’ve got to wait for the sugar mixture to reach proper marshmallow temperature, which can take awhile, and then you’ve gotta beat the heck out of the mixture until it gets all thick and fluffy. And then you have to let them set overnight before you can cut into them into squares and toast them over your stove. 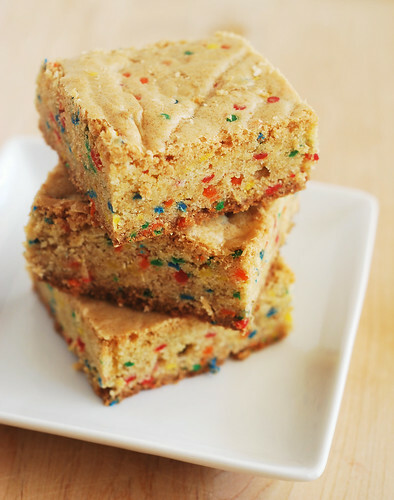 Yeeeeeess, like the saltine version that everyone makes at Christmas! I’m so excited to make this soon! Butter a 9x13-inch pan generously and dust bottom and sides with powdered sugar. Put 1/3 cup water in a small bowl and sprinkle gelatin over top; set aside to soften. In a heavy saucepan, heat remaining 1/3 cup water and sugar over low heat, stirring until sugar is dissolved. Increase heat to medium and let bubble, without stirring, until the mixture reaches 250F. Be patient, it can take 10+ minutes. Remove from heat and whisk in the gelatin mixture. Put the egg white in the bowl of a stand mixer fitted with a whisk and beat to stiff peaks. Lower the mixer to low and slowly stream in the hot syrup. Beat until the mixture is thick and white and has tripled in size. 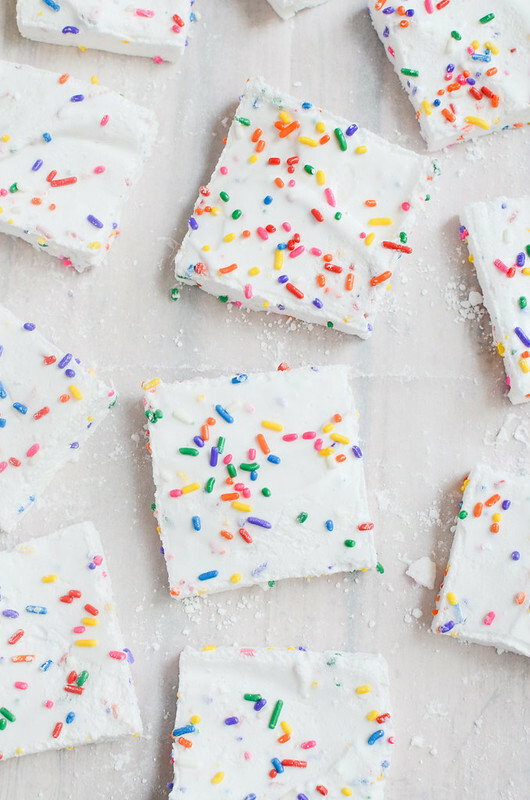 Fold in vanilla and half of the sprinkles. Pour mixture into the prepared pan and use a spoon to smooth the top. 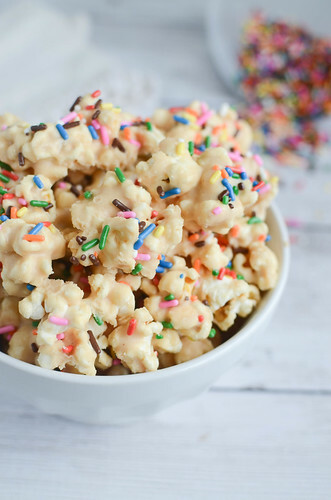 Sprinkle with remaining marshmallows. To remove, run a knife around the sides of the pan and invert onto a powdered sugar covered cutting board. The easiest way to cut the marshmallows is with a pizza cutter. 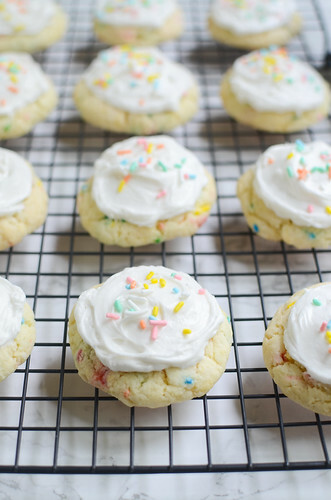 Toss them in powdered sugar after you cut them to make sure they don't stick to each other.